5. It opens up policy wizard, first define name for the policy. 6. 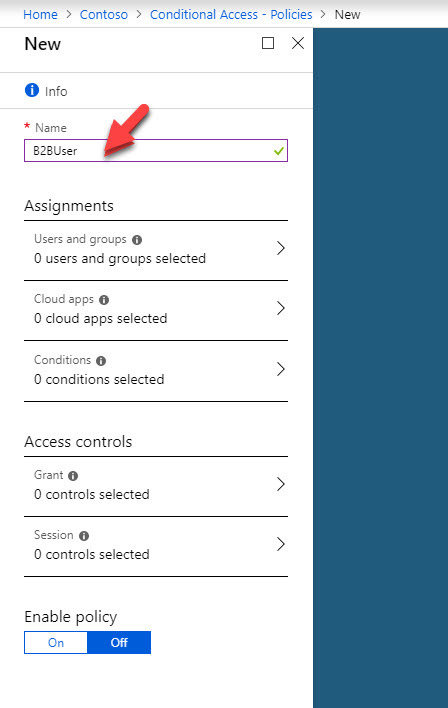 Then click on Assignments and select the B2B user. 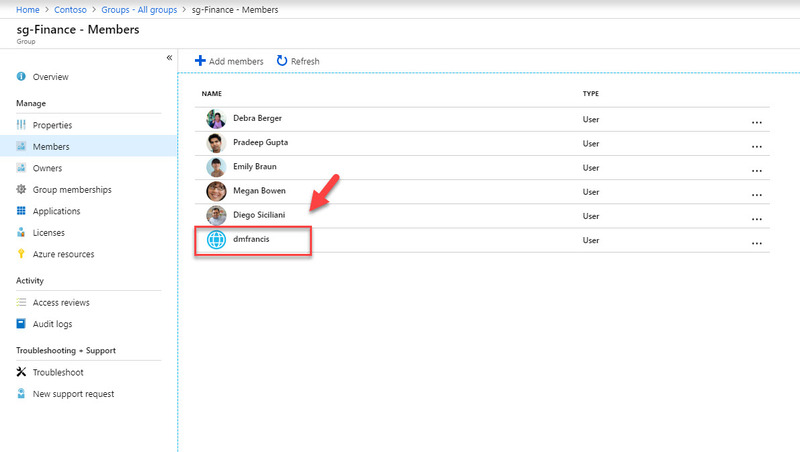 If you have multiple users, it is best to create a group and then apply policy to it. 7. As next step, under cloud apps I am selecting All apps. 8. 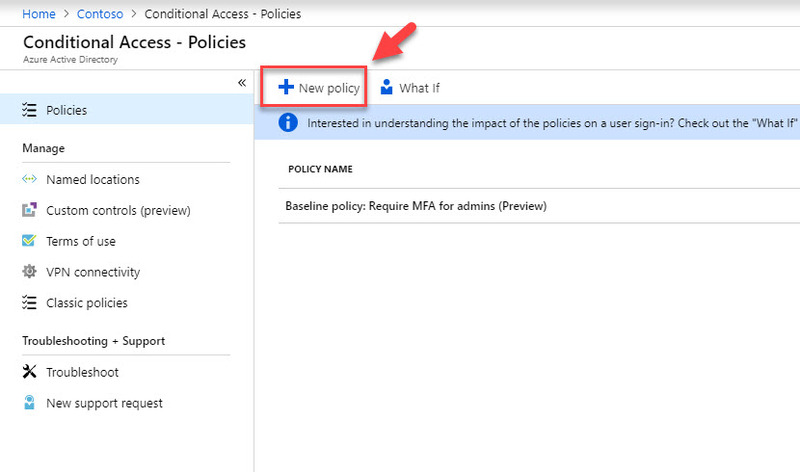 Then under the conditions click on Locations and then click on Yes to enable the policy. Then click on Any location. 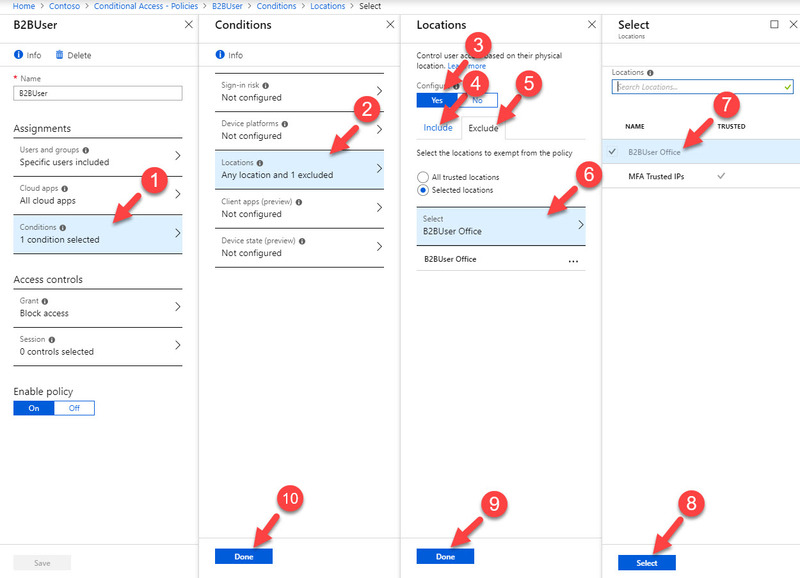 After, click on Exclude and select the B2B office location. 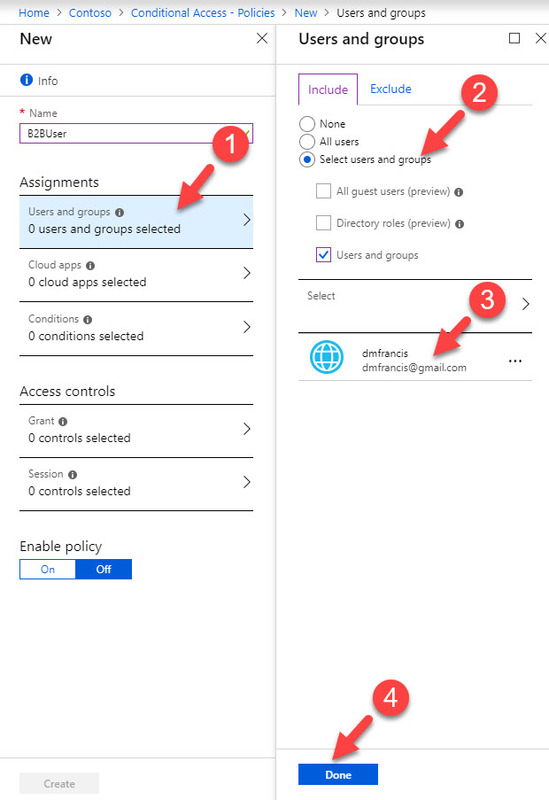 You can create named locations under Conditional access | Named locations , you need to create it first before use in a policy. 9. 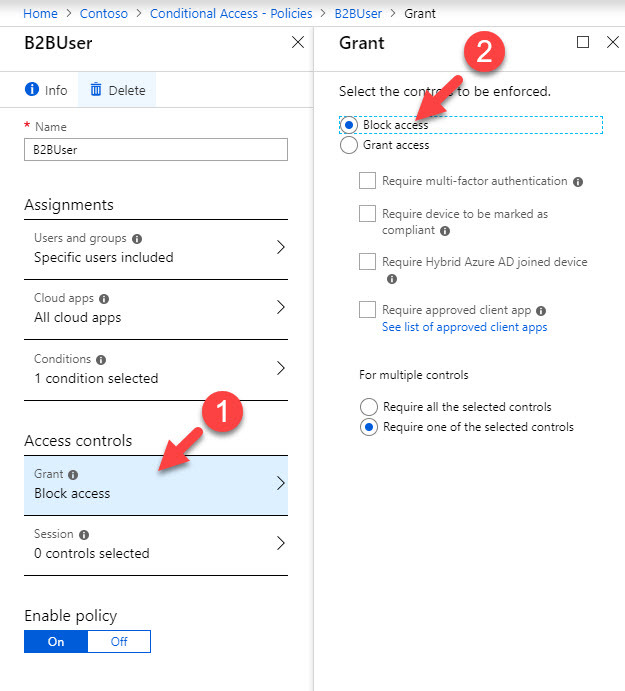 Under access controls click on Grant and then select Block access. 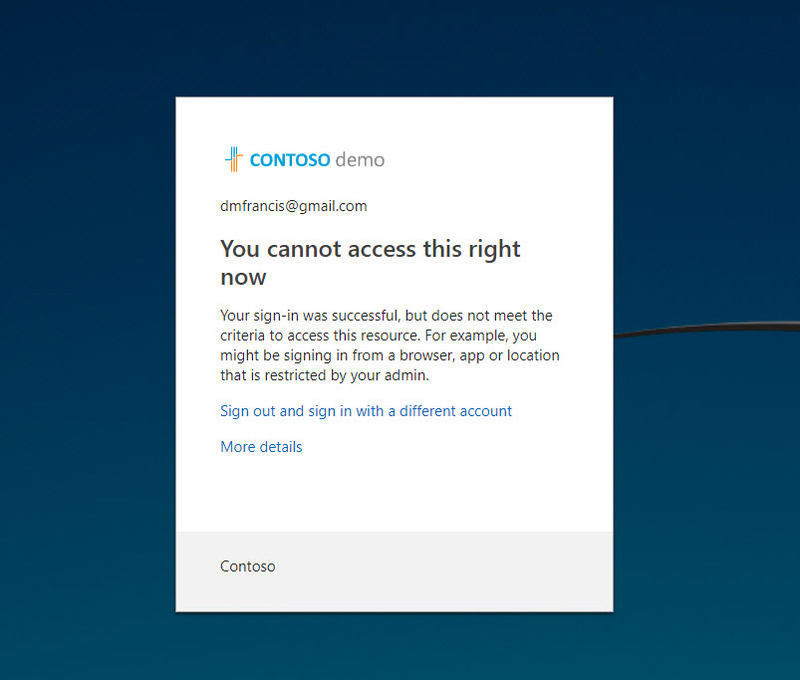 So the idea is to block any access except the connections comes from trusted B2B user office. 10. 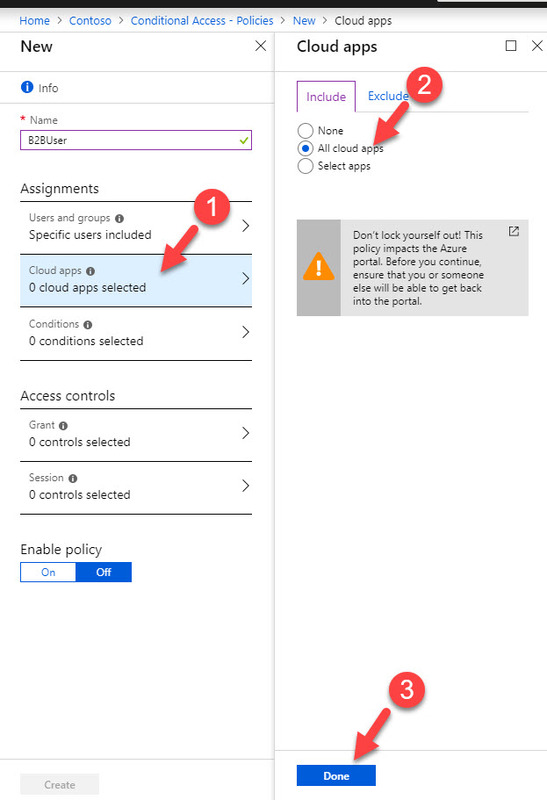 At the end click On under enable policy and then click create to activate the policy. 11. Now we done with the configuration, let’s go ahead and test it. To start, I am logging in to http://myapps.microsoft.com as B2B user from B2B user’s office. 12. After login verification, user was able to login successfully. 13. 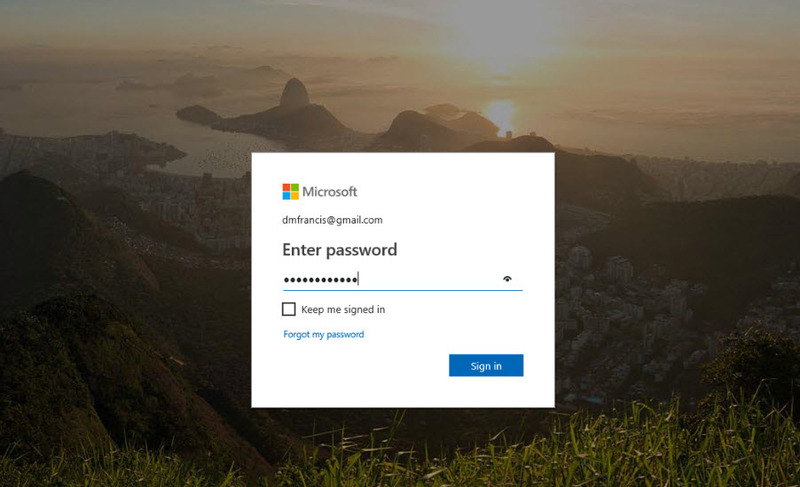 Now let’s try to login from different location. As soon as I try to login I gets the following error. It means policy is working as expect. 14. 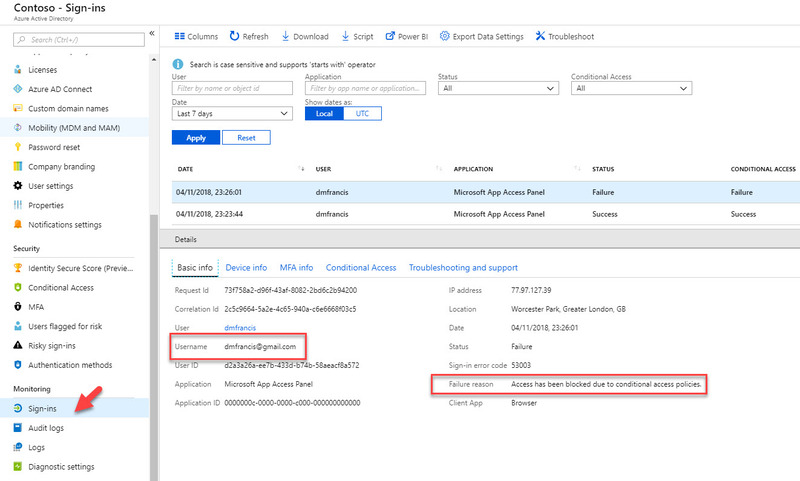 Then if we go to Azure Active Directory home page | Sign-ins, we can see the failure and the reason behind it. 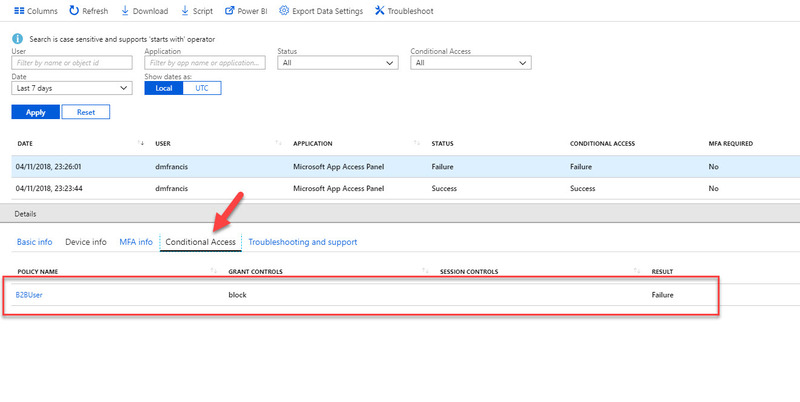 As we can see we can access Azure conditional access policies to further control access requests from Azure B2B users. This marks the end of this blog post. If you have any further questions feel free to contact me on rebeladm@live.com also follow me on twitter @rebeladm to get updates about new blog posts.